Saturday night the Penguins' wild 3-2 comeback win against the Florida Panthers vaulted them into 3rd place in the Metro. Sunday saw them tied for the final wildcard spot. It's an incredibly tight playoff race and Pittsburgh will look to keep pace tonight when they host the Anaheim Ducks. Both the Pens and the Ducks have had similar seasons up to this point - they both started off the season slowly with bad shooting percentages before seeing their season rebound. Now they both, at the moment, sit in the playoffs with nearly identical records. This is the second and final meeting between the two teams this season. 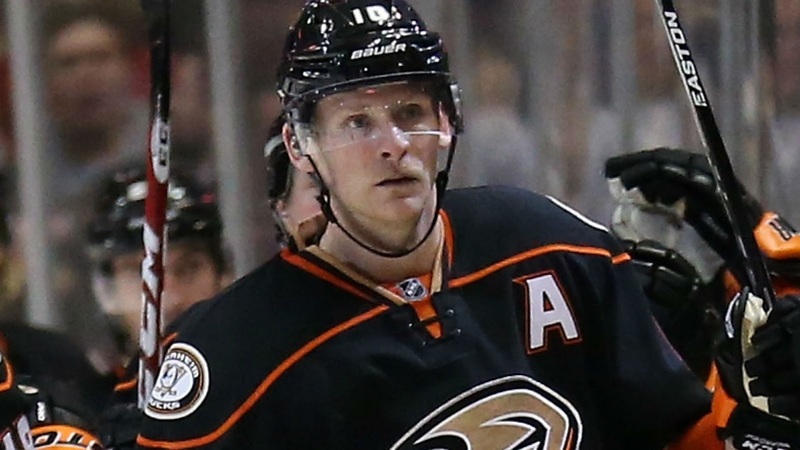 The Ducks won the first meeting in a low-scoring affair 2-1 with goals from Corey Perry and Chris Stewart. Pittsburgh native John Gibson out-dueled Marc-Andre Fleury for the win. Pittsburgh and Anaheim have been familiar trading partners as of late, and they'll see some familiar faces in each other's lineup. The Pens should see Simon Despres on the ice skating against him as he plays in just his 9th game of the season after missing over 3 months with a concussion from a dirty hit by Tyson Barrie. The hit came just days after Despres signed a 5 year contract extension with an AAV of $3.7 million. It'll be the first time that the Penguins face David Perron since the January trade that brought Carl Hagelin to Pittsburgh. After failing to find his scoring touch with the Pens, Perron has been off to a red-hot start for the Ducks as he's registered 3 goals and 5 assists in 7 games with Anaheim. Hagelin hasn't done poorly for the Pens, registering 5 assists in 8 games. His speed has been a big asset to the second line in the early going, but he's also displayed some bad hands as well. It's something he'll need to improve on if he wants to continue making an impact playing with Evgeni Malkin and Phil Kessel as teams will adjust to the extra speed on the ice. It's been a struggle offensively for the Ducks this season, as they're dead last in the league in goals scored per game, but it's unsurprising to seeing Perry and Ryan Getzlaf leading the team in points. Perry, the former Hart and Rocket Richard Trophy winner, has scored 21 of Anaheim's 111 goals on the season and finds himself 10 goals ahead of the nearest on the team. Getzlaf has not been immune to the Ducks' scoring woes this season. A career 12.4% shooter coming into the season, Getzlaf has only 4 goals so far on the year with an abysmal 4.3 SH%. As unlucky of a stretch that Getzlaf is in, his playmaking skills seem to be relatively unaffected, and his 30 assists lead all Anaheim players. Despite the punch-less offense, the Ducks have been able to stay in games with good work in their own zone. The timeshare of Frederik Anderson and John Gibson has backstopped Anaheim to 6th in the league in goals allowed per game with 2.30. And it's their work that has helped allow Anaheim to rebound from their awful start to be in a position to make the playoffs. The Ducks have been one of the best possession teams in the league this season, ranking 4th with a scored adjusted 53.4 CF%, but a league worst 98.2 PDO stemming from a league worst 5.9 SH% have held Anaheim back. Still, their bad luck seems to be changing, and they'll be a difficult out if they make the postseason. - Sidney Crosby has been on a scoring tear recently. He has 16 goals and 14 assists in 22 games since Mike Sullivan took over as Head Coach, including 18 points on his current 10 game points streak and 8 goals on his current 6 game goal scoring streak. Crosby is back in the top 10 in scoring, and at his current pace it's not out of the question that he could catch Erik Karlsson and Jamie Been, currently tied for 2nd in scoring with 59 points. - Marc-Andre Fleury will look to rebound from a pair of bad games that ultimately saw him pulled against the Tampa Bay Lightning Saturday night. Fleury posted a 6.05 GAA and a 0.757 SV%, but with only a game and a half in the past week he should be well rested, and taking on the league's lowest scoring offense should be a great remedy to work through his recent stretch of bad play. - Evgeni Malkin will miss tonight's game as well and continues to be day to day with a lower body injury. The Penguins' 2nd line has struggled in his absence, as Carl Hagelin, Phil Kessel, and Matt Cullen managed just a 42.9 CF% over the weekend with 2 GF and 3 GA with the trio on the ice. Not surprisingly, this is in sharp contrast to the results the 2nd line has produced with Malkin. Since acquiring Hagelin, the 2nd line has had a 60.1 CF% with 6 GF and 3 GA when Malkin, Kessel, and Hagelin were on the ice. Happy 44th Birthday Jaromir Jagr!